The Rv Generator Adapter Cord or plug allows you to power your RV with a portable generator. 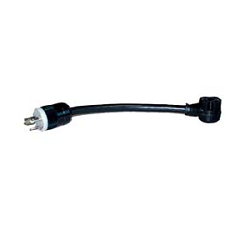 They are compatible with all generators that accept a 30 amp twist-lock, THREE PRONG, male plug. The other end is a 30 amp female RV connector.